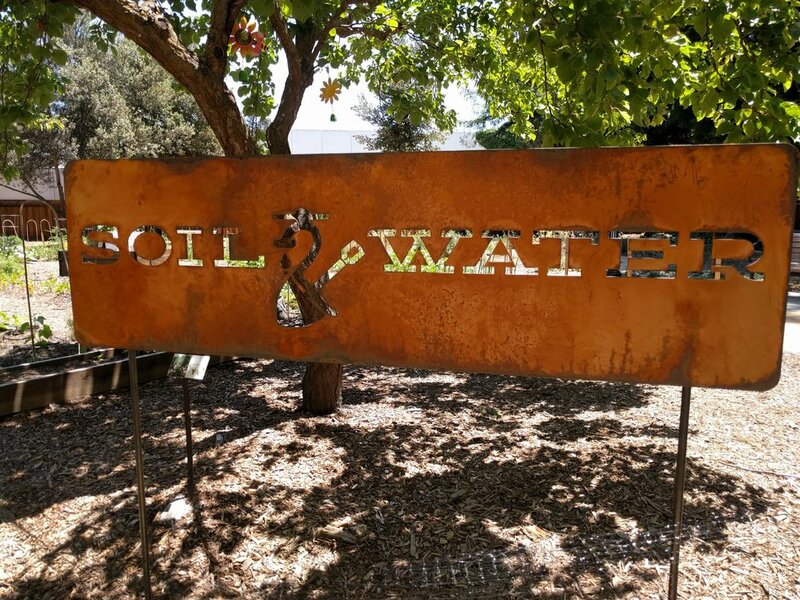 Check out our new Soil&Water Sign. Andra McFarlane was the awesome artist that designed this sign. Jason Kihl, a metal artist, cut this sign out of metal for us and drove it out from Arizona to hand deliver it to the garden. Thank you both for all your work on this. It looks pretty amazing in the space!